Featuring Don Hatfield’s Fine Art Adytum Sanctuary houses a museum quality art collection making it a unique, elegant venue for weddings and life celebrations and creating an eclectic atmosphere in-suite. 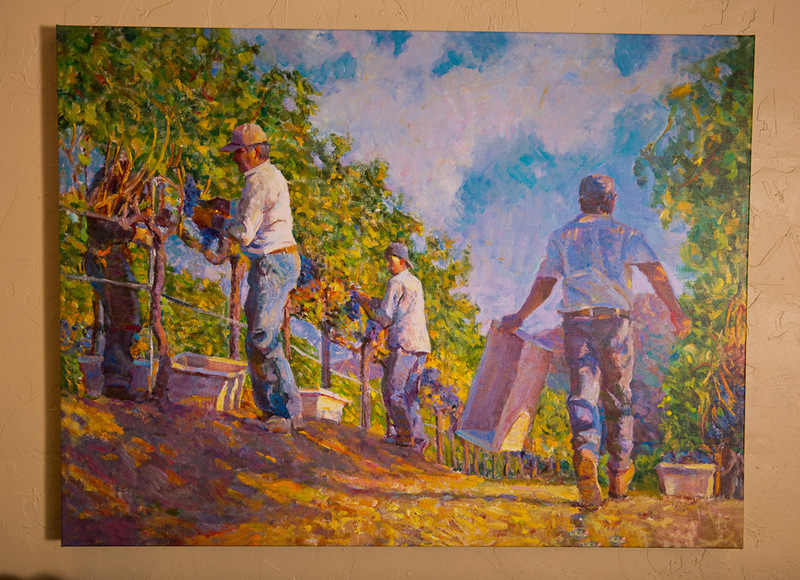 Both The Orion Suite and The Star of the North are full of modern impressionist Don Hatfield’s exquisite artwork in *giclee on cotton canvas and is available for purchase directly or shipped to you. 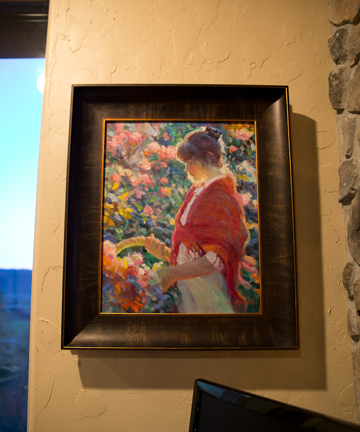 We met Don Hatfield in Bend, Oregon many years ago now where he was showing with Lahaina Galleries. 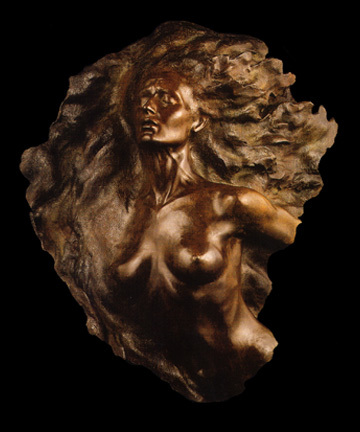 Having already purchased several pieces of fine art and sculpture from Lahaina Galleries and other galleries in Maui including works by famous sculptor Frederick Hart, artists Yankel Ginzburg, Hisashi Otsuka, and Rembrandt, we commissioned our own original painting. Don and his lovely wife Janey followed us from Bend, Oregon back to Adytum Sanctuary at the conclusion of the art show. In one of the most memorable three days of our lives filled with deeply spiritual conversations often at daybreak, Don outside my bedroom door, “Kat are you up? “Well, I am now Don…” “Come on out and let’s talk!” And we would, me fresh from sleep and Don delving deep into topics even a good cup of coffee didn’t brace me for. This man is a theologian and one of the most profound thinkers I’ve ever had the pleasure to converse with. Even now, when the phone rings and I see on caller ID that it’s Don Hatfield, I have the greatest sense of anticipation that something of note will occur. Don and Janey stayed for three days at Adytum taking over 800 photographs that would later be used for the stunning commission which arrived several months later. Impressionism, as you may know, is best viewed at distance. What I didn’t realize was Don’s ability to pull the sunset literally into his art. As the light filling the library changes, where this treasured painting hangs, our clothing becomes flooded with color from the setting sun. Don’s artwork is alive. It lives and breathes. The Hatfields filled our home with laughter, stories, deep sharing, and much love. I helped Janey with a nutritional therapy consultation and Don left an original oil study in exchange. I treasure it and the memory to this day. 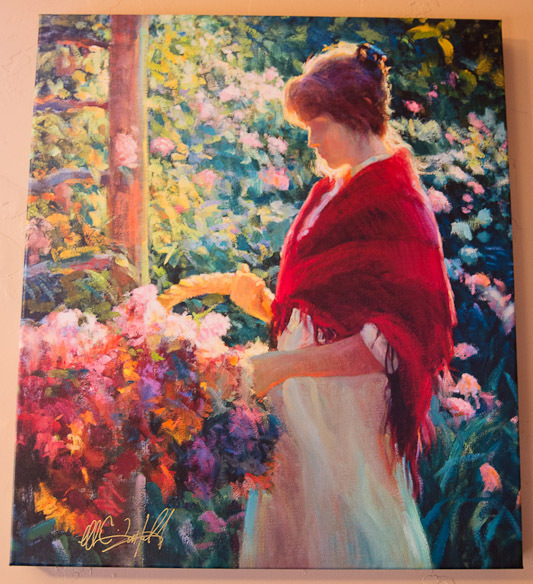 “Don Hatfield has fallen in love with the process of oil painting. Love is a key word. It’s what his paintings are about—the love between a mother and child, of family, of friends; his own love for a beauty that is magical, spiritual, and very down to earth. Gentleness is an infinite quality in Don’s work. It is the gentleness of another era. Some say that has born a century too late. Collectors today are very happy about that possibility. Hatfield’s light is shimmery, almost ethereal. It dances and plays on faces, dresses, the movement of a figure, the movement of the sea. Water and sand merge on the eternal sunlit beach. The figures are forms of utter grace, young women in long dresses, children in the most perfect gestures of childhood—small, intimate things that linger in the viewer’s eye long after the viewer turns away from the painting. 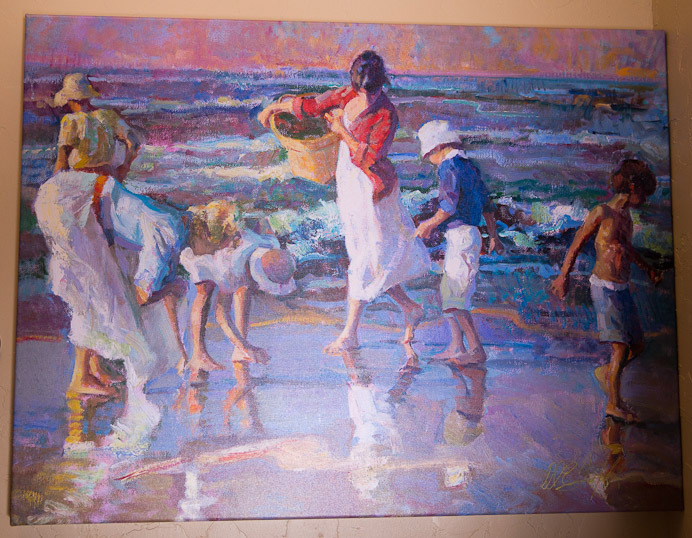 In all his paintings, Don Hatfield manages to make ocean and beach as gentle as heaven, women and children as pure as angels, without ever sacrificing the intensity of human connectedness. In striving to come to grips with his own spirituality, Hatfield has struggled in an intensely human way. He does not sacrifice humanity to some cold gospel. These paintings about light are paintings about love. “Color harmony is the most subjective of all the branches of painting. It’s the color that evokes the mood, the feeling—more so than the rendering. Rendering can be taught, as can design and the craft of handling oil paint. But color is very difficult to transmit from student to teacher. 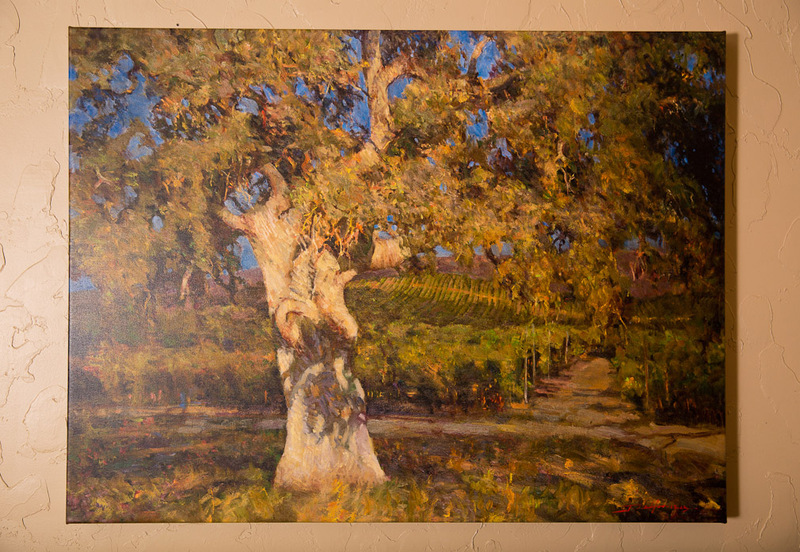 I learned color harmony through the use of pastels, but I had an almost instantaneous ability at it,” says Hatfield. “As you develop your language as an artist, you are concerned less about the process of painting, and more about what you want to say,” he says. “Painting more fully from the heart means letting go of the familiar, the successful and trying something different, taking your work to another step, to a more universal idiom. You get there by concentrating on your vision, your viewpoint and making a run at that. 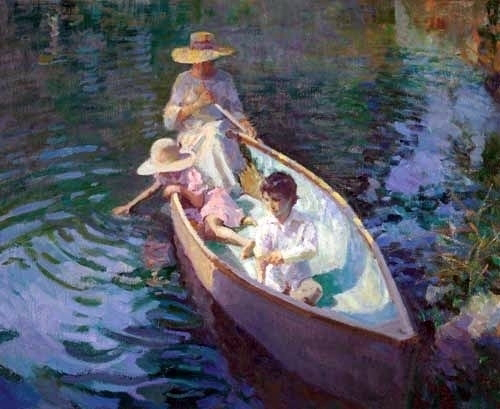 You have to make sure what you mean to say is important to draw you into it.” Looking at Don Hatfield’s work, at his vision of the connection of people to one another, and their place within nature, one already feels in the presence of the tremendous heart and talent that is Don Hatfield. 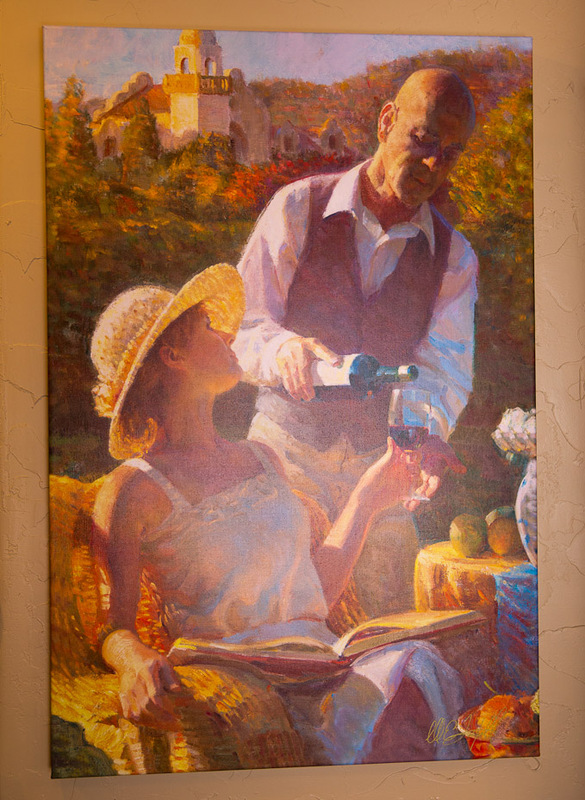 You can read more here about Don Hatfield and reach him directly for original commissions: http://donhatfield.com/about. 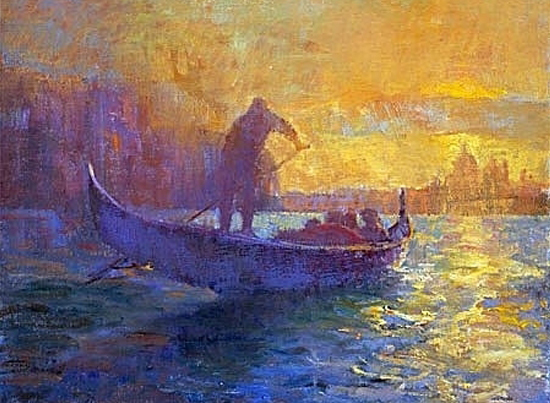 I can’t fathom living life without the beauty and spiritual love reflected in fine art; the art of impressionist-master Don Hatfield. 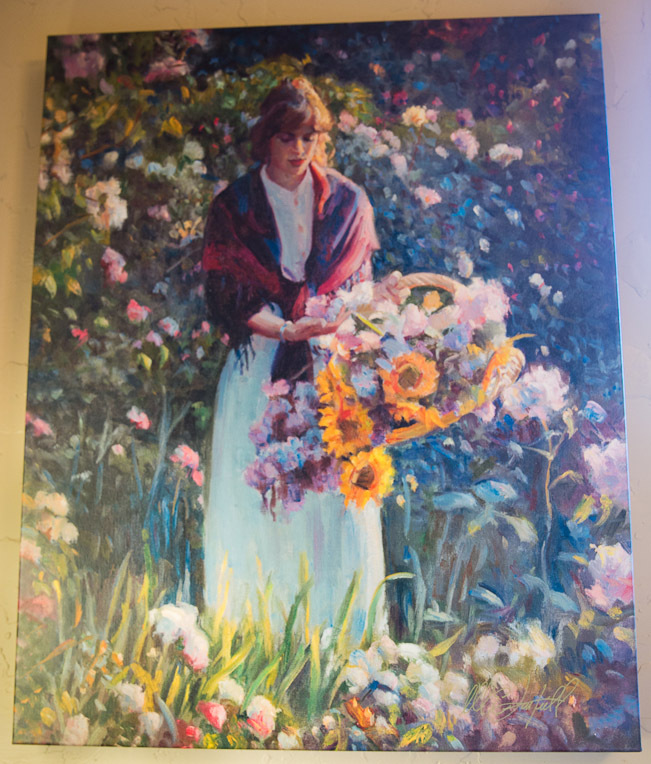 While our commission was quite expensive, we would never have dreamed of missing this experience of living of fine art and encourage you to contact Don Hatfield to arrange a commission of your own. It is a legacy for all time. The giclees are an extremely affordable way to invite fine art into your home and into your life. Adytum Sanctuary’s giclees are priced far below market value to afford you the same luxury we have enjoyed many years now. These are available directly from Adytum Sanctuary or are easily shipped to you. Fine art and sculpture are not only a great addition to your portfolio but they are vital necessity to adding value to your life! *Giclee Prints About Giclee Prints The Definition: Giclee (zhee-klay) – The French word “giclée” is a feminine noun that means a spray or a spurt of liquid. The word may have been derived from the French verb “gicler” meaning “to squirt”. The Term: The term “giclee print” connotes an elevation in printmaking technology. Images are generated from high resolution digital scans and printed with archival quality inks onto various substrates including canvas, fine art, and photo-base paper. The giclee printing process provides better color accuracy than other means of reproduction. The Process: Giclee prints are created typically using professional 8-Color to 12-Color ink-jet printers. Among the manufacturers of these printers are vanguards such as Epson, MacDermid Colorspan, & Hewlett-Packard. These modern technology printers are capable of producing incredibly detailed prints for both the fine art and photographic markets. Giclee prints are sometimes referred to as Iris prints, which are 4-Color ink-jet prints from a printer pioneered in the late 1970s by Iris Graphics. The Advantages: Giclee prints are advantageous to artists who do not find it feasible to mass produce their work, but want to reproduce their art as needed, or on-demand. Once an image is digitally archived, additional reproductions can be made with minimal effort and reasonable cost. The prohibitive up-front cost of mass production for an edition is eliminated. Archived files will not deteriorate in quality as negatives and film inherently do. Another tremendous advantage of giclee printing is that digital images can be reproduced to almost any size and onto various media, giving the artist the ability to customize prints for a specific client. 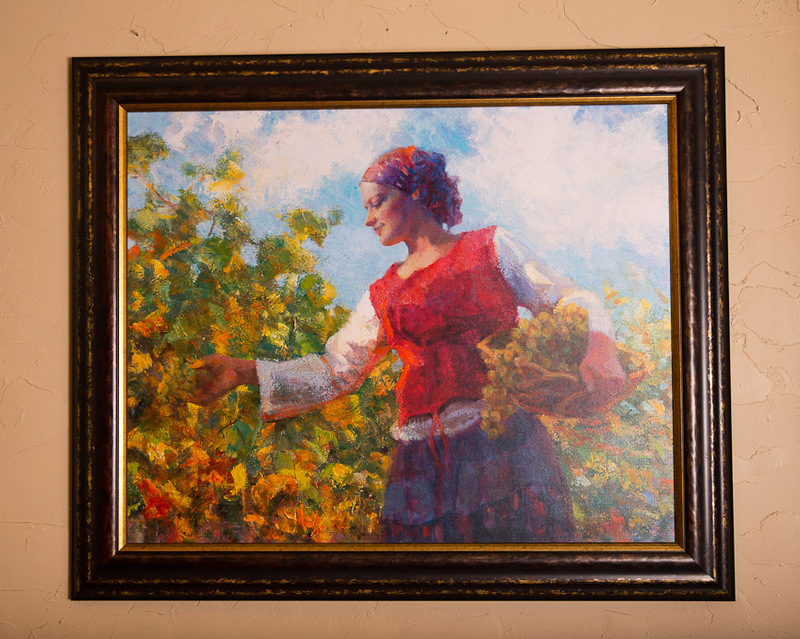 The Quality: The quality of the giclee print rivals traditional silver-halide and gelatin printing processes and is commonly found in museums, art galleries, and photographic galleries. About Digital Pigment Prints The term “pigment print” is used generally for any type of printed image that uses strictly pigments. Pigment printing processes have been utilized since the middle of the 19th century. The image stability of pigment printing is superior to that of any other method of printing, including traditional silver-halide or metal-based. Digital inkjet printing has seen a surge in the use of the pigment ink as ink sets have been refined to be compatible with the latest in high-resolution inkjet technology. Where archival dye-based ink sets exhibit excellent color gamut, pigment inks excel in permanence. A dye is molecularly soluble in its vehicle, but pigment is not. Pigment particles tend to be large enough to embed into the receiving substrate making them water-resistant. The particulate nature of pigment inks ensures their archival superiority. A particle of pigment is less susceptible to destructive environmental elements than a dye molecule.